One of the biggest mountains that En Masse and Frogster have to climb with TERA is the notion that it’s “just another Asian grinder”. For my money, this is the single biggest factor in how successful TERA ultimately becomes and is the hardest thing that the Korean development team and their Western partners will have to overcome. 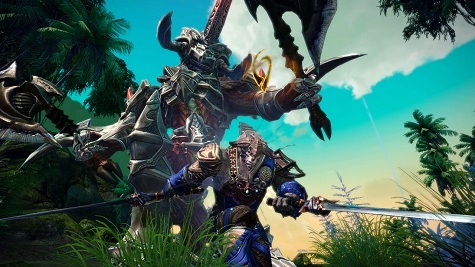 As I play TERA, I want to like it, I really do. But my innate bias shines through as I’m sent along on another “kill 10 rats” quest and forced to FedEx my way around the starter zone. I hold out scant hope, however, that things will improve once I’m on to the main continent and working my way to Arborean glory. I have to say though that, at least at this point, the notion of an Asian grinder is still there in TERA. Luckily there are offsetting factors that might win players over if they’re patient enough to stick it out.